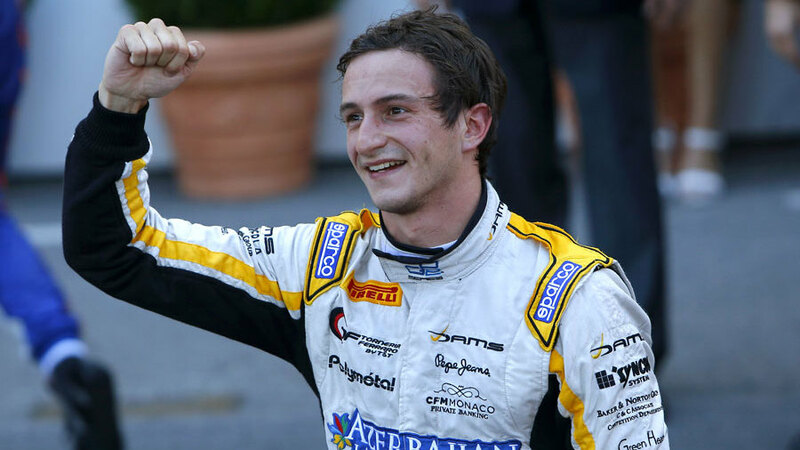 Stephane Richelmi claimed a maiden GP2 victory at his home race as he led from start to finish in the Monaco GP sprint race ahead of Sergio Canamasas and Rio Haryanto. Richelmi, starting on reverse-grid pole, effectively had the race sewn up into Ste Devote after holding position, with Canamasas unable to find a way through for the next 30 laps in a tense duel between the leading pair. 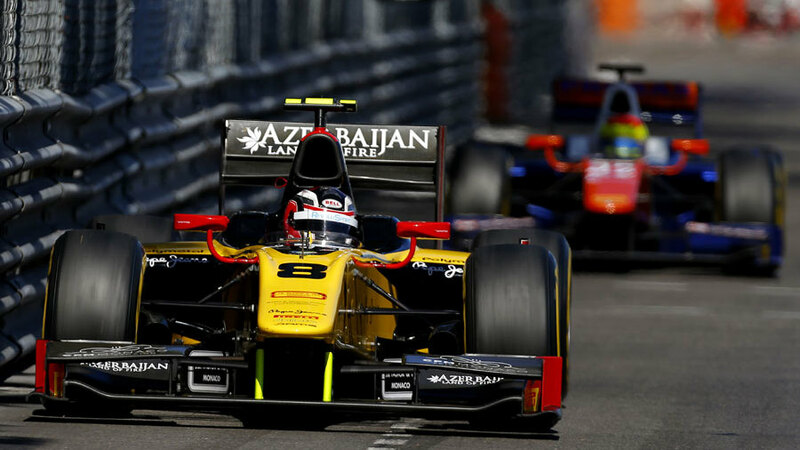 It marked a perfect week in Monaco for the DAMS team following Jolyon Palmer's victory in Friday's feature race. Harayanto came home third after Johnny Cecotto's aggressive driving early on meant he spent the closing stages of the race holding off a train of cars behind him in fourth. The race lacked the drama of Friday's race - which involved a safety car, a red flag and a frantic final sprint to the line - with a brief safety car period to remove Artem Markelov's car at Beau Rivage merely delaying the battle out in front rather than shaking it up. Off the line Richelmi had to deal with the attentions of the two men he would share the podium with, Harayanto initially getting alongside the pole-sitter on the run down to Ste Devote. But Richelmi refused to budge and Harayanto had to give way, letting Canamasas steal second place, and spent the next few laps fending off the charging Cecotto. Fellow Monaco local Stefano Coletti, who arguably threw away a nailed-on victory in Friday's race, moved from 13th to 19th on the first lap, while Felipe Nasr's title challenge took a major blow as he suffered a puncture coming into Mirabeau. The real incident of note of the opening lap came as Markelov braked abruptly coming into Massenet, causing Tio Ellinas to run into the back of him. The Russian driver earnt a drive-through penalty, but he was immediately in the wars again, carrying too much speed into Ste Devote and scraping along the barrier, causing a safety car. Like with Friday's race, it seemed like the safety car period could cause a genuine change to the pecking order, but Cecotto's earlier pressure came back to haunt him. Cecotto was unable to get anything from his tyres and soon had a train of cars behind him, though a superb display of defensive driving saw him hang on to fourth against all the odds - though 10 seconds separated the next 17 cars. One of those was championship leader Palmer, who kept himself out of trouble to extend his championship lead to 46 points after Nasr's retirement. Out in front, Richelmi had also turned in a defensive masterclass in the face of trouble to earn his first GP2 victory in 54 attempts to the delight of the home crowd.